An architectural demountable wall designed for the contemporary office. Clean and minimalist, moodwall P2 enhances its surroundings by embracing transparency and natural light while retaining acoustic privacy. 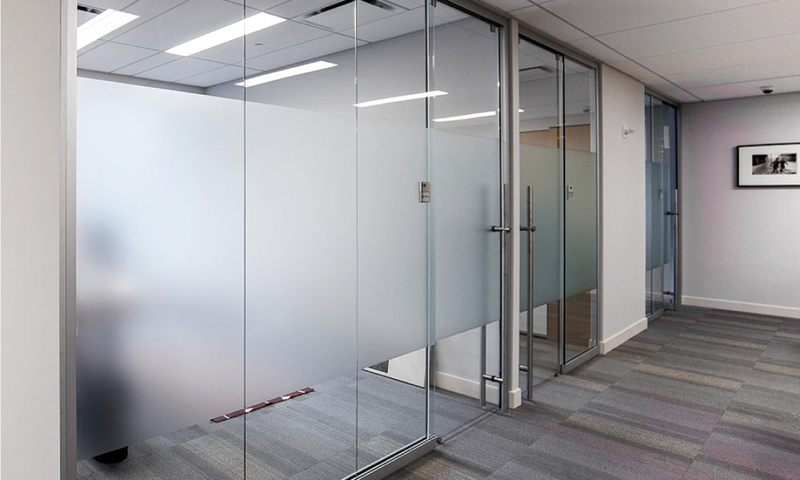 Like many in the Klein collection, these frameless glass wall systems are truly unique and suited for any type of environment. Klein’s synchronized movement between one or two sets of telescoping glass panels is proven and showcased in this system. This setup enables you to get 1/3 of the desired opening with fixed panels, and the remaining 2/3 with frameless sliding glass doors. Then the doors slide at the same time along the glass side-lite as an integrated feature. No floor track is required around the walkway, because this system can either be recessed into the ceiling, ceiling mounted, or wall mounted. A wide variety of finishes are available. Unique system for high-end projects create a clear opening up to 16’-8”. Synchronized opening system of 2, 3, or 4 doors create a sleek opening. Ideal for offices, kitchen entrances, bedroom entrances, or conference rooms, etc.